Since its foundation, the Ajinomoto Group has always focused on solving social issues through its business activities. Its success lies in creating values together with local communities and wider society. 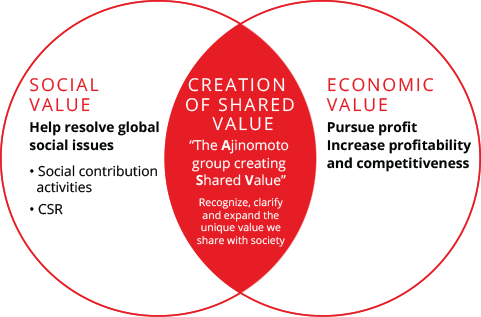 The group has named this philosophy at the heart of its business: the Ajinomoto Group Creating Shared Value (ASV). The Ajinomoto Group began its business by marketing Umami seasoning as a product called AJI-NO-MOTO®. Since then, the Group has grown while carrying on the aspiration of its founder, which is to improve nutrition through delicious meals. In addition to improving nutrition, the use of Umami seasoning not only allows for the creation of spare time by shortening the cooking process, it also helps families share the joy of eating together and creates affluent lifestyles by interconnecting different food cultures. Our business domains are guided by the aspirations of our founder, which is “Eat Well, Live Well” and has helped up develop into the corporate group that we are today. Through our business activities, we have created new value through the resolution of issues facing society and have realized growth as a corporation by improving economic value. We have adopted ASV as a term that describes process, and ASV itself represents the core concept of the Ajinomoto Group that has guided our efforts since our founding. Social issues change constantly, and there may be more than one way to solve them. As ASV is put into practice, it is important to stay aware of global issues and focus on using the Group’s unique strengths, technologies and passions to tackle them. Ajinomoto Sharved Value represents our unchanging commitment towards solving society’s issues and leading to the creation of economic value. The School Meal Project (Vietnam): We wish to improve the diet and nutrition intake of a country's children through spreading enriched school lunches. 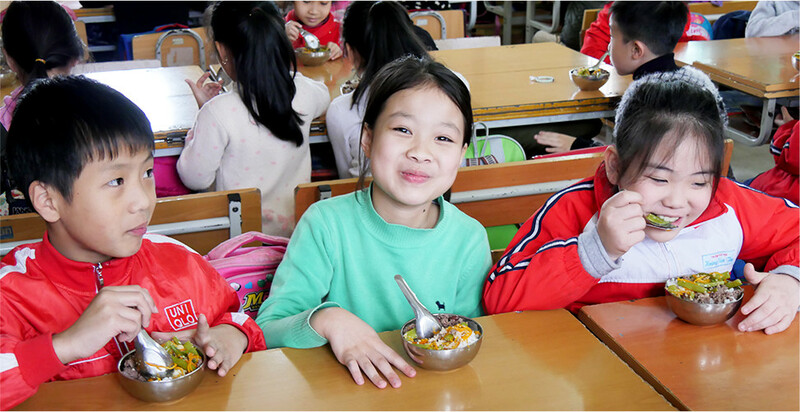 In an effort to make this wish come true, Ajinomoto Vietnam runs a school lunch project at local elementary schools. The children express their delight with exclamations like "The egg dishes is yummy." and "I like eating school lunch with my friend". With their smiling faces as our motivation, we will continue to exert all effort into this project. 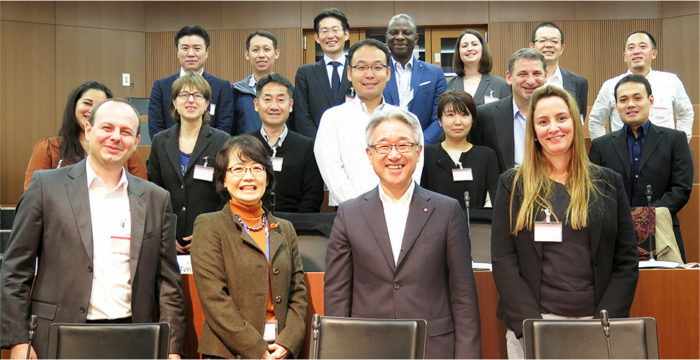 Ajinomoto Group’s aim towards diversity: In its aim to be a "Genuine Global Specialty Company," the Ajinomoto Group is creating working environments in which diverse world-class employees can fully engage their skills and competencies. We are advancing reform of working practices and management innovation through employee engagement and career diversity. The Ajinomoto Group is committed to cultivating a corporate culture where diverse people can work and create together. Diversity initiatives so far have focused on the empowerment of female employees, especially in group companies in Japan, although initiatives for inclusion of LGBT and others are also planned for the future. 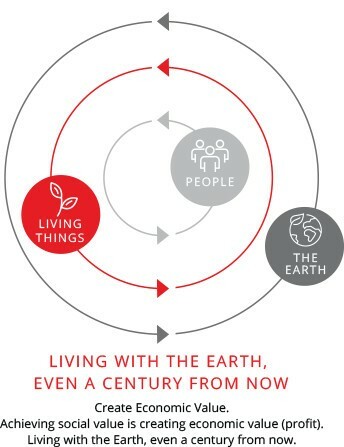 With the Earth, With Society: The Ajinomoto Group’s work is to create products and services supporting dietary life, health and living, from the varied bounty of nature from a healthy global environment. This also means ensuring that the fruits of our work are passed on to future generations through a seamless cycle that brings permanent benefits to the environment, to food, and to the health of both humans and the sources of our dietary needs. 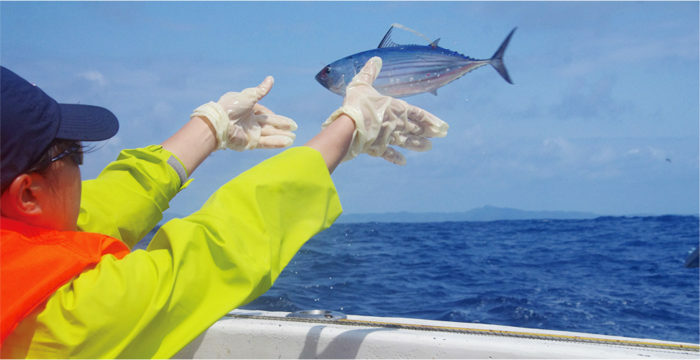 The Ajinomoto Group is dedicated to creating long-lasting effects for the environment through supporting projects such as conservation of water resources, reduction of greenhouse gas emissions, and overall reduction of waste. 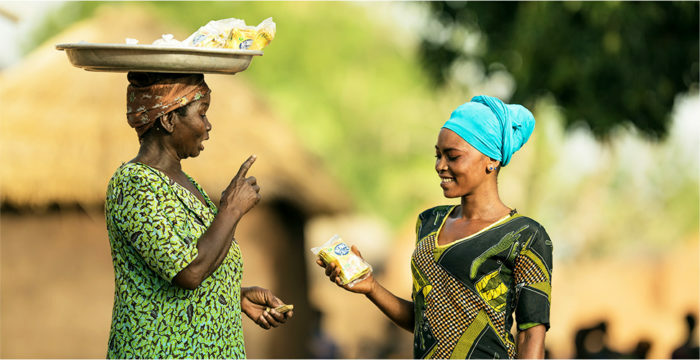 The Ghana Project: The Ghana Nutrition Improvement Project was launched to achieve the aforementioned aspiration via a social business. We manufacture and sell a supplement that improves the nutritional balance of weaning food and improve the nutritional status of children. The Ghana Nutrition Improvement Project was launched to achieve the aforementioned aspiration via a social business. We manufacture and sell a supplement that improves the nutritional balance of weaning food and improve the nutritional status of children. Building a healthier society by helping people to eat well.